Last year we moved from Canberra to Brisbane. We moved due to my husband's work however he grew up in Queensland (although he's not familiar with Brisbane) and would probably consider himself a Queenslander. At the start of this year (2015) Caspar (7yrs) and Otis (then 3yrs) started at their new school. We home schooled the last term of last year to ease the transition to a new location. Late last year we toured the new school. Caspar also had a trial day to get a feel for the school and his classroom. My first impressions of the Brisbane school were fantastic. The school is situated along a river and is surrounded by large established native trees. It is a really beautiful location. The school also has facilities for children to 12-15 years. I hadn't seen a Montessori school environment for this age group before and loved it, I was amazed actually. We moved from one Montessori school to another. Both are private and very similar in philosophy. I know of at least two staff at our Brisbane school who have previously worked at the Canberra school. In theory, on paper the schools are very similar. Which is a good thing! All of the differences are practical, day to day kind of issues. Both of my children had been at the Canberra school since they were 18 months old in the Parent Toddler Class. However Otis had been around the school since he was a day old. They were both very familiar with their surroundings and very familiar with staff and students. Many of the staff and students had become like family to us. It was extremely hard to move. I was worried about how my children would adapt to a new school where there wasn't such a level of comfort and trust. We met with Otis' class directors before the start of the school year. A wonderful part of moving from one Montessori school to another is the familiarity of the environment and materials. Even though classes can look different - many if not most of the materials are the same (Otis knows what they are called and how to use many of them) and the environment tends to have that same feel (child sized, warm, friendly). When we walked into Otis' classroom I was instantly at ease. Otis was asked if he wanted to work with some materials and he was confident and happy working with some puzzles, he got out a work mat and was content. When he couldn't find a part of the constructive triangles and he asked his teacher for help - I knew he was going to be ok. Some of the differences between schools are just annoying but you get used to it, it's administrative. In Brisbane they call the classes 'Children's House' and 'Lower Primary', 'Middle Primary', 'Upper Primary'. Which still confuses me. Canberra use the terms Cycle One, Cycle Two and Cycle Three. I still haven't worked out the Queensland grade system so I have no idea what grade my children are in. School starting times are different and Caspar's class starts earlier than Otis' (which I still can't figure out why). Brisbane is less strict when it comes to healthy eating in the classrooms and I see much more licensed cartoonish clothing at the Brisbane school. Both are bugbears for me. I know teachers at both schools work hard on these issues. All Montessori schools are different and all classrooms are different but the core values are (should be) the same. The differences makes classrooms unique - they are influenced by the directors, they are influenced by the children who work there. After spending time in all classrooms in Canberra I could see the differences that exist in the same school. And in Montessori that is really important. Otis' class has two directors. This concerned me to begin with. It's only with time that we can learn to trust. Having two directors has turned out to be wonderful and it absolutely works. Otis' class doesn't do the birthday walk around the sun celebration which is a big disappointment as I know how much both of my children adore this tradition. Brisbane also seems very well staffed (in more numbers per student and more specialised/support staff) which is fantastic. In Brisbane Otis brings his own morning snack. In Canberra the children prepare a group snack of fruit and vegetables. However Otis' Brisbane class cooks very often and with lots of variety - I love how often they are cooking and baking and how there is always a story behind what they are making. Our Brisbane school appears to have lot fewer class pets. I loved in Canberra the variety of class pets and how Cycle One classes have Guinea Pigs. Otis' class in Brisbane has fish and Caspar's class has a mouse. Neither are as interested or as involved in the class pets as they were in Canberra - where the class pets were prominent and much talked about. The schools differ in the extended day policy. Canberra has a relatively new option of the extended day program beginning once a student turns four. In Brisbane extended day generally commences once the child is four and a half. The Brisbane school however is a registered child care provider (the child care rebate can be claimed under some circumstances) while the Canberra school is not. This means that in Brisbane the younger children for example three year olds can be in the class room the school entire day. Confusing? Yes! There are also a lot more small differences. Otis was used to group time in the mornings and much to his disappointment his Brisbane class doesn't have show and tell. Brisbane has much more established class and school vegetable gardens which is fantastic (the older children sell the produce at school markets!). Within Otis' outdoor classroom they have herbs which the children regularly tend to, harvest and eat. Both boys took a couple of weeks to feel comfortable in their new classrooms. When we moved to Brisbane both boys were happy and fine. But once they started school reality set in and this is when they really missed their old teachers and friends. Caspar has seen and written to a couple of his friends from Canberra and has made some really good new friends. Otis still often talks about his friends from Canberra and while he has made two solid 'best friends' it's taken him a while to become familiar (and remember the names of) all the children in his class. Strangely Otis still speaks of his Brisbane school as his 'new school' and his 'new friends'. Hopefully he will drop the 'new' soon - we are now towards the end of the second term. Caspar's (Cycle Two) class studies French, in Canberra it was Korean. He has dedicated sports and music times here but as far as I am aware not science as in Canberra. He has always struggled with his hand writing. In Canberra his teacher spoke to me at length about not pursuing cursive with him. His teachers here in Brisbane are ensuring he does cursive - this is extremely difficult for him. Our Brisbane school doesn't feel like home yet but we are comfortable and I am sure it will over time. We are really fortunate for so long to have access to great, high quality, genuine Montessori school environments. Learning in situ - it's important! There is nothing really like learning in place. Learning about birds under the trees. Learning about fruit and vegetables in the garden or at the market. About land forms at the beach! The boys have been learning in place a lot in the last couple of weeks. Above Caspar is giving a presentation on the attributes of this beak. Otis is playing, looking and also learning below. It's National Bird Week - every day we have focused on finding and observing the birds in our area. We've compiled a list of the species of birds we have seen in each location. With the focus on birds we have also covered one by one the topics of bird nests, feathers, feet, beaks and tomorrow sounds! It's been easy to adjust these topics to two age levels. While both children enjoy being at home - they really need room to move - which makes the physical location learning is to take place even more important. Caspar above is collecting perhaps some of the most precious learning materials - gifts from the place and the birds themselves. In and outside of our (Montessori) home. Sunshine, water, sand, sticks. What a wonderful way to start the day. Our friends recently showed us this location and we love it. A corner of our home. We had to rearrange this corner, we removed the fish tank that was here. We can't take our fish on our move and Caspar's class is kindly looking after them. Otis is really interested in people, his block work always includes people and he keeps a person (a vet) in with his basket of animals, his play focuses (and has done for many months) on the role of people in our community. Possibly the most awesome puzzle ever. It's hard to say that we have ever had a puzzle that Otis has been so engrossed in. This is serious work for Otis, it's impossible to interrupt him. He will often say the name of the letter but not always, sometimes you can hear him f, f, fish or p, p, p pig! Caspar using a stencil to make some circle art. And some good old, much needed, hand strengthening colouring in. We have discovered a really quick and easy method to make butter starting with cream. We left the jar outside to get the cream to room temperature. It literally only took a couple of minutes of shaking for the butter to form. Last time we made butter on the blog was here! It was so delicious - I think starting with a good cream helps - we use a local full cream. Otis has been doing a lot of language work (see puzzle above). Last night while reading the Bob books he said c-a-t, c-at, cat! Priceless, he is starting to sound words out, I can't believe he is learning to read. I was gobsmacked at how natural and easily he put the letters together. The Bob books are so basic but so wonderful at the same time. While the sun is still out there is lots of time for relaxed water play. I love looking back on our day - some time in nature, active indoor learning and unstructured play with lots of reading and practical life in between. It's currently the ACT school holidays however the boys won't be returning to school here. We will meet with our new school principal mid-term however as the Qld term finishes earlier (than the ACT) we are considering taking the entire term off school and starting fresh in 2015. It means homeschooling Caspar for term four, Otis isn't of official school age. We wouldn't call it homeschooling though - just living and learning like we always do. I'd love to hear if you have taken a term off school and if it worked for your children. Edited to add: The alphabet puzzle is now available at HWM Shop here. I sought out this puzzle after loving this one from TAG Toys which Neptune used - doesn't it look beautiful! In one of my favourite and most useful posts Meghan writes about what we can do at home to support our children's learning at school. I often look back at this post and one of the activities listed came to mind over the weekend as Caspar collected native plant samples during one of our family hikes. We live near Bruce Ridge and it is a wonderful location. So, so beautiful. As Caspar started talking about Casuarinas, Acacias and Eucalyptus I knew we could take this further. Spring is a lovely time to take lots of nature walks and even a hike but is also the best time to be identifying many of these species. Local field guides are a must! Caspar is using the Field guide to the Native Trees of the ACT published by the National Parks Association of the ACT. It makes it so much easier for children to identify trees as it only contains local trees - the children are not sorting through hundreds of trees but species they are likely to find in their own neighbourhood. The pictures are really clear, the descriptions, details, maps - this guide is fabulous and if you are local I highly recommend it! This guide is also the right size to take on a nature walk. There is lots of information that goes into identifying some of these species. Especially eucalypts. So studying bark, leaf shape and 'capsules' or gumnuts is really important. A practical botany lesson! Fresh air, a lot of fun and a bit of nature appreciation also. When I first called our school to enrol Caspar I was naive. I thought because we had made the decision on schools we would be welcomed with open arms. Recently talking to a couple of other mums in the school car park (as you do!) I discovered that even within the one school we all had different paths to enrolment. However now that we have enrolled Caspar and Otis at another Montessori School and the application process was similar I thought I would share our path. Get on the waiting list early. Firstly many Montessori schools and this applies to many private schools, have waiting lists. If you are thinking even briefly considering a Montessori school for your child I suggest calling when your child is a toddler, get on the waiting list as soon as you can. Many Montessori schools due to the nature of the Montessori method, like for the child to start at their school at three years. Waiting until the Australian school starting age may result in the school not having a position for your child. It's common for children to commence half days at or around three and start full schools days somewhere between four and five. It is at this point that I stress that all schools have variations and are different. We currently live in Canberra and are moving to Brisbane. I encourage anyone looking into schools to look widely - open days are fantastic in a non-committal way to check out other schools. Even though we are very firmly a Montessori family I thoroughly enjoyed looking at the alternative options in both locations. Canberra has wonderful schooling alternatives and Brisbane has schools with interesting approaches also. Be prepared for paper work. Schools want to make sure that you and your family are a good fit for their school and they are a good fit for your family. They want to know that you have an understanding of their philosophy. To make an application for enrolment there will be forms and some of them will touch on why you chose Montessori. While the paper work isn't onerous I didn't expect it. It's quite humorous now to be asked about 'how we apply Montessori at home' because this cannot be answered on a questionnaire, but I totally understand the purpose. Also expect (as with other schools) paper work on medical and developmental information and immunisation. For parents who know very little about Montessori but are interested in Montessori schooling, I suggest reading How to Raise an Amazing Child the Montessori Way by Tim Seldin. This is a very easy to read and basic book that will give parents an overview about Montessori. This is the one and only Montessori book I have insisted my husband read. I'm sure he only flicked through the pages but this was enough for him to understand the basic philosophy. It's important to have some basic understanding about Montessori before enrolment otherwise the approach in it's practical application in the classroom may not make any sense. Observe a Montessori classroom - in action. Many schools will insist on this. We (both my husband and I) were required to observe in different classrooms before our application would be accepted. Again the school want to make sure you/we have a good understanding of the approach - to ask and answer any questions, to know what to expect. Observing in a classroom is a really interesting experience especially if you haven't been in a Montessori school before and I highly recommend it. Many schools require an interview before they will accept your application. I also didn't expect this. We had immense difficulty arranging this (due to my husband's work commitments) when Caspar was a toddler and this almost prevented us from enrolling at the school. Perseverance and patience is required during the application process, don't be put off by paper work and process. Interviews are more like a meet and greet and are a great way to meet with the leader of the school and get a feel for their approach. No school is perfect and if there are difficulties or miscommunication in the enrolment process I encourage honest and open dialogue. Very early on my husband and I weighed up the financial cost of private education. We estimated how much it was going to cost for two children (expecting that we would have two!) and work out if we could afford it. The schools we have applied to have upfront and visible fees on their websites. For a private school there are potential application fees, deposits and building fund contributions. So we haven't officially transferred however we have made an application at a new school. It's so lovely to have teachers at our current school to know teachers in our new school. Caspar has students in his class that have come from his new school. The network and sense of community in between Montessori schools is really heart warming. As I would suggest with most schools the new school has required complete application forms and current school reports. 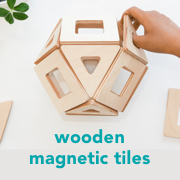 Be aware of schools with a Montessori stream or are Montessori influenced. There is a big difference between schools that follow the Montessori approach and those that have Montessori influences. Both can be wonderful but know the difference. It's really important as a parent to have realistic expectations of both the school and the staff. Be prepared to make a long term commitment to your child's education. Due to the nature of the Montessori approach there are times when results are not visible. There many be times when parents compare their child to children in different methods of education or against educational standards. Be prepared to commit long term to the Montessori method, children have periods of growth and consolidation. Swapping schools or educational methods midway through a cycle may not be beneficial for the child. I encourage all parents to consider a Montessori education for their child. It may not always be an option (or a good fit!) but when given the choice - we choose Montessori. I have a couple of real treats for you this week. Tomorrow we will be featuring a wonderful Canadian Montessori family. A family that you might already know! Later in the week I have an article that if you have a child at a Montessori school might be the most important article you will ever read. It has already changed the way I look at after school activities for Otis. Today though... some friendly and interesting links. If you are interested in infant Montessori you will love this Instagram feed. I have always been a fan of Kara over at Simple Kids but her vlogs are something else, this one is my favourite. 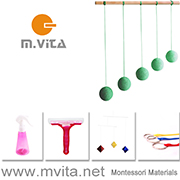 If you are in Europe or Slovenia please have a look at this very special Montessori shop Montessori Doma. I totally missed the Online Auction however Canberra Mums Due 2013 are having a trivia night on March 29th at the Southern Cross Club Woden for SIDS and KIDS ACT. I believe they are fully sold out however you can find further information here. This is wonderful example of a community coming together after the loss of a little one. A Girl and Her World has a lovely new website and and if you have a spare $20 and are looking for an inspiring read I recommend Behind the Smiles e-book by Jane Kennedy, all profits go back into the Girl and Her World project. I hope to see you back here tomorrow for our international Montessori family feature. Road Trip - With Kids! Over the weekend we took a last minute, unplanned road trip. It was such fun. Often we fly when we travel and this was our first road trip with all four of us. My thoughts varied from 'this is the best day ever' to 'what were we thinking'. Taking our own food for day one. I packed a box of fruit, snacks and sandwiches which kept us going for the entire day. Staying organised. A basket of books and toys in between Caspar and Otis' car seats, a bag for rubbish and a box of snacks in the car kept us tidy and organised. Entertainment. We took books for Caspar and Otis. Caspar loves the Where's Wally series and this worked great for him. They both love sticker books. We also took a few touch and feel and lift the flap books for Otis. More non-perishable snacks. Most of our snacks were fresh and we had little for our second and third days, leaving us to eat what we could find at service stations and unpredictable cafes. Less fruit, crossing the state New South Wales/Victorian border we had to dispose of some uneaten fruit due to fruit fly restrictions. More entertainment. I need to order some audio books and think about travel games. Spend less time on the road and more time sightseeing, even in the smallest towns. Take more spare clothing. I packed extra clothing although I really need to pack more for Otis. Take more photographs. We were so busy (and in the moment!) I only snapped a few photographs and next time I would like to capture more. Our three day road trip was a wonderful experience and gave the children the opportunity to see regional and rural Australia. Caspar was able to visit his birth town and we were able to visit places we hadn't seen in years. We loved seeing some of the quirkier places (a submarine in Holbrook) to the beautiful (Beechworth) to the iconic (Dog on the Tuckerbox near Gundagai and the Trams and Yarra in Melbourne). Next time I think we'll head towards the coast. You can see some of our travel photographs on Instagram. P.S. Please feel free to leave your travel tips, they are more than welcome! There is no doubt that the best reference library you will find is your local public library. Caspar could spend all day at our library and he often borrows more books than he can carry. have large, clear, beautiful, high quality images. Images must be captivating and inspiring. have slightly larger than usual (adult reference book) text. are indeed factual - please don't leave New Zealand off the map! have the right balance between images and text. I don't want a picture book or a chapter book. have interesting, insightful and useful facts. Dot point or summaries are excellent. are intelligent and don't speak down to children. have longevity, will still be of interest in a couple of years time. What are our must-haves? There are some books that I believe are essential. What does our reference library look like? Typically I look for field guides that are small and easy to carry but this is not always the deciding factor. I believe local field guides are important! We use Birds of Canberra Gardens and a Field guide to the Native Trees of the ACT. Two local field guides that look fantastic include the Field Guide to the Birds of the ACT and Reptiles and Frogs of the Australian Capital Territory. We have other Australian field guides by Steve Parish and Cronin. We have international field guides in the Golden Guide range. We have purchased local field guides to stimulate interest in the local scenery on holidays such as the Animals of the Wet Tropics when visiting North Queensland. DK Children's Encyclopedia of Animals and First Human Body Encyclopedia. We have many reference books to meet Caspar's interests. The books we use the most cover topics such as Rocks and Minerals, Egypt and Pyramids, Earth and we have many books on specific animals. We also have a reference book about our pets - Hermit Crabs. This has been essential for keeping pets that we know very little about and it's fun to keep next to our aquarium for reference. If you have a reference library I'd love to hear your suggestions. Today it was all about the birds. By observing birds you are by default also observing trees. We worked from one of our favourite locations. You can see Canberra city in the distance. I've shown photographs of this location before. It's inspiring. Caspar is loving photo-journaling (he's also been doing a bit of video-journaling). I love it too, to be honest. I'm not so creative with pencil and paper (or paint...) but give me a camera and I'm happy. I'm loving the instantness of this camera. I'm loving those clouds, it was a perfect Autumn day. My next post will be about creating a reference library for Kindergarten aged children - including our favourite field guides. P.S. If you have an infant you may be interested in my post on Hello Bee today: Ways to encourage tummy time, it includes some of my favourite pictures of Otis.